YUKO GORDON won her category by a mile in the Buntingford Year End 10 on New Year’s Eve. In fact it was by a lot more than a mile as she was 14 minutes ahead of her nearest competitor. She was first female veteran, 65 plus with an amazing 1 hour 14 minutes 1 second. Fifteen from Fairlands Valley Spartans tackled the undulating course. No ice this year and no rain but a strong headwind in places and the roads were very wet and pavements slippery with damp leaves after recent downpours. MARK COLLINS was first in for FVS with 1:09:56 and THOMAS SAUKA ran a new personal best of 1 hour 11 minutes 17 seconds. The second female from Fairlands was MADDIE PRITCHARD in 1:19:11. JIM BROWN ran a season’s best 1:22:35 and was fourth veteran, 65 plus. The Ely New Year’s Eve 10k is on a predominantly flat route across the fens starting in the village of Little Downham. The wind caught runners from all angles of the course. Post race souvenirs were a packet of Corkers crisps (made in Little Downham) and a bottle of beer. Spartan times were as follows: Craig Halsey 35 minutes 17 seconds; Tim Saban 41:32; Chris Holland 48:46; Maria Swift 54:09; Karen Palmer 54:57; Caroline Croft 1:00:05 and Karen Broom 1:03:44. Spartan GRANT RAMSAY WON the Pirton Boxing Day Race in 18 minutes 29 seconds. This was a 3.2 miles off road event near Hitchin. Another Spartan ANDREW PATTERSON was second in 18:50. Despite an energetic Hogmanay Spartans PENNY SCHENKEL and JIM BROWN got to Hyde Park in time for the New Year’s Day 10K. They both finished in 1 hour and 49 seconds (1:00:49). Jim was 399th and Penny 400th. TIM ROBINSON was third in his age category with 1:27:37 at the Olympic VeloPark. This was a Grand Prix style circuit of 10 one mile laps. New Year’s Day is the only day of the year when runners can officially log two parkrun results, and ten Spartans set off to Panshanger to run the first leg of their double, accompanied by an eleventh who presumably had breakfast in mind rather than a second parkrun helping! GRANT RAMSEY finished second male (third overall) in 18:02, happy with his effort but not totally satisfied with the time in testing conditions following the recent rain. TIM SABAN, was 25th in 21:23, and ANDY JAY 77th in 25:08. JACKIE DOWNES was 39th woman in 28:32 with VERITY FISHER 43rd in 29:00 and RUTH REILLY accompanied her son in 32:55. ANDREW SMITH, DAVE SMITH, TOM SAUKA, TIM ROBINSON and JAMES SOUTH also ran and all bar ANDY KAY headed off to a second run. GRANT RAMSAY chose to go to Barclay parkrun, retracing his steps from New Years Day 2017. There he again finished second male in 19:15 to round off a good morning’s work. The other doublers headed to Stevenage, where JACKIE DOWNES topped off her morning’s work by achieving a new Course PB of 26:40. TIM SABAN. DAVE SMITH and TOM SAUKA showed that running an earlier parkrun was no barrier to running a decent second one and were the first three Spartans home with top 30 finishes in 21:13, 21:43 and 22:22 respectively. MADDIE PRITCHARD was first woman to finish for the Spartans in 3rd place in 22:23, with YUKO GORDON next in 4th in 23:07 and JULIE SIMMONS 8th woman in 24:28. 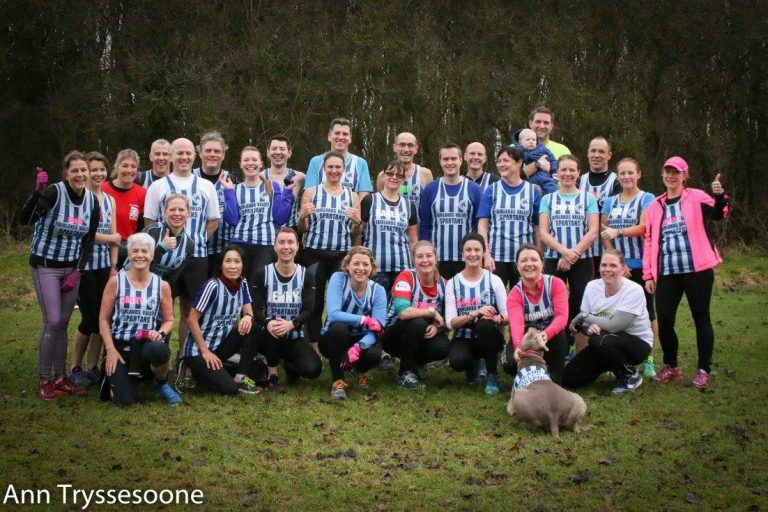 In all, 36 Spartans ran at Stevenage and Fairlands Valley Park was awash with stripes as most ran in club vests to celebrate the start of a new year of running with the club. Finally, MICHAEL O’KEEFE opted to do a New Year’s Day double with a different starting point. He began at Luton Wardown where he finished 71st in a new course PB of 28:44, before then heading to Stevenage to complete the double there. On Saturday 23rd at Stevenage it was a Spartan first across the line as GRANT RAMSAY ran his first parkrun in a while to finish in 17 mins 17 secs. THOMAS SAUKA rushed round in 21:12 in 25th place and DAVE SMITH was just outside the top 30 men in 22:05. Three Spartan women finished in the top 30. YUKO GORDON was second in 22:45. MADELEINE PRITCHARD was 7th in 23:23 and JO BOWDERY continues to run well, finishing 9th in 23:51. 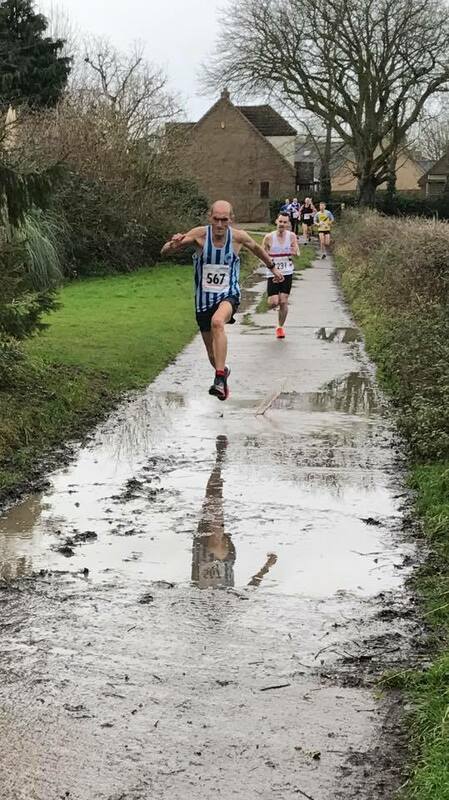 Spartans were in festive action up and down the country with Top 30 finishes also achieved by STEVE and ISABEL GREEN in Newcastle, VERITY FISHER at Peterborough, KAREN PALMER at Clair and TIM SABAN at Canons Park. KAREN PALMER ran the Christmas Day park run in Haywards Heath. The course was 4 and a half laps and a hilly one. Supposedly more downhill than up! Pre race briefing for newbies said to expect a time at least a minute and a half longer. She was pleased to finish in 28:48. County Cross Country Championships at Cassiobury Park, Watford on Sunday 7th January. Training session led by England Athletics at FVS Marriotts on Tuesday 9th January.